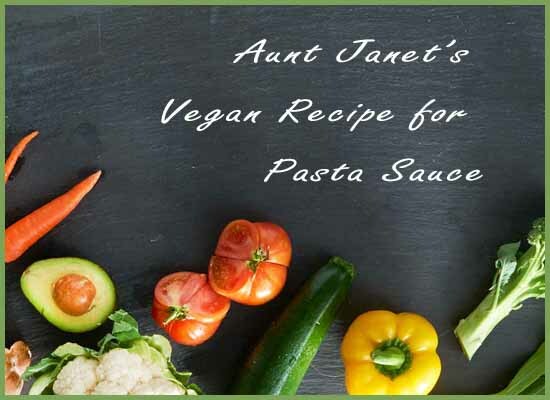 My aunt Janet, my father’s oldest sister, taught us how to make the most delicious vegan meal with pasta sauce. My dad used to ask for it every time we saw her. She made it with pork chops so to veganize it, we change the recipe to a vegan recipe, and make it with vegetable broth and we roast it which is a way to infuse a lot more flavor a lot more flavor. This is one of the only sauces that I do not make in a slow cooker crock pot and it can’t be made in a regular pot because it has to be stirred way too much so this baby is made roasted. The bad thing about this recipe is that because you are roasting every ingredient it takes a bit longer to make but it is definitely worth the time and effort. This is something that we make on special occasions, not your everyday quick meal recipe. Start with a roasting pan or an electric roaster and you put extra virgin olive oil and one diced onion, one seeded red bell pepper. Mince them up finely and throw them in the roasting pan and in the oven that was previously set as 300 degrees. When the onions are translucent, take out the pan and add lots of minced garlic. I put in about 5 minced garlic cloves but this really depends on how much you like garlic. After you add the garlic, but the pan back in the oven for 5 minutes. Then you are going to get out your canned tomatoes. A small can of tomato paste, two large cans of tomato sauce and two large cans of whole tomatoes. Open the can, put the ingredients into the pan, stir it up. Add 4 cups of vegetable broth. You can either make the broth to save a bit of money because it can be very expensive to buy at the store, but if you are going for store bought vegetable broth then I recommend one that is organic. Add Italian seasoning to taste (I put about a teaspoon, but everyone is different), parsley, black ground pepper, salt. Mix up everything in the pan put it back into the oven for 6 hours. Yes, 6 hours. When it is done you can freeze half to use at a later date and use the other half for dinner. This is a really inexpensive vegan tomato sauce that is great for any Italian meal. You can use this in eggplant parmesan, vegan lasagna, vegan meat balls, maybe even over a vegan burger or Gardein chickenless fingers. You can put this over vegan and whole grain pasta or even a gluten free pasta in case you have some sort of intolerance or Celiac’s disease, or if you just decide to stay away from gluten for another reason. I don’t know why exactly, but I have noticed that there are many gluten free vegans. Is there something that I am missing? Should I also be gluten free? Anyways. Enjoy this delicious, caramelized vegan tomato sauce, perfect for any vegan family. Easy cheap vegan chilli. This is a meal I make for my kids when we have a busy week at work. It takes about 15 minutes to prepare (plus the hours of it sitting in the pot), minimal effort and the little vegans can help you as well. It might take a little bit longer with their help (especially when it comes to the clean up) but it will make them more likely to really enjoy the meal and more likely to eat the whole thing. This is great to serve with vegan cornbread or with some brown rice and turmeric, they say turmeric cures cancer and reduces pain and swelling. Raising vegan kids tends to make cooking an important part of family time, although this isn’t always the case. I would rather make inexpensive and healthy meals than spend extra dough on mock meats that are horrible for you. Not only do they have GMO soy, tons of salt as well as oil, but they cost more than the entire rest of the meal that I am making. All you need is your handy dandy slow cooker, a spoon (I use a long wooden one), water, tomatoes, carrots, celery, onion, basil, oregano, salt, pepper, red bell peppers, garbanzo beans (to get you some vegan protein), red beans, kidney beans and any other Italian spices you would like to put in there. You can buy canned beans and wash them well or you can cook the beans previously. I cook all my beans separately in large batches and freeze them and let them thaw as I need them. When making garbanzo beans, be sure to save the liquid (aquafaba) which you can save to use as a thickener for soups or for a myriad of desserts at a later date. It will keep in the fridge for a couple of days or in the freezer, you would just need to defrost it and you are good to go. Ok so get out your crock pot and fill with a bit of water and set on low heat. Chop up your onions, garlic, tomatoes, carrots, celery and throw them into the pot. If you like it thicker you can put tomato paste in there. They have tomato pastes that are organic and sodium free, in case that sort of thing interests you. One small can should be enough for a big pot. Wash your herbs really well, you don’t want to get a parasite, and shop them up thinly. Don’t add them to the chilli until about 20 minutes before you are ready to eat. Add the salt pepper and bell peppers and beans. They say that beans have anti nutrients but if you soak them before cooking you should be able to take out most of them. If you like it spicy like we do in my family then you might want to add some chopped jalapenos. Be careful not to hop them and then touch your eyes. This is something you will not want to delegate to your kids because it might lead to an accident. If your beans are already made then this should only need about 2 hours in the slow cooker but you can leave it on for longer. Throw in the herbs 20 minutes before eating. This whole thing cost me about $5.50 and is enough for a few of us for 2 meals. Enjoy. 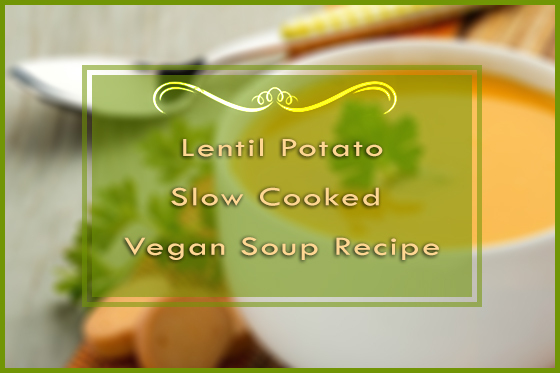 One of the cheapest vegan recipes, filling and healthy vegan meals (and vegetarian meals) you can make is lentil-potato soup. 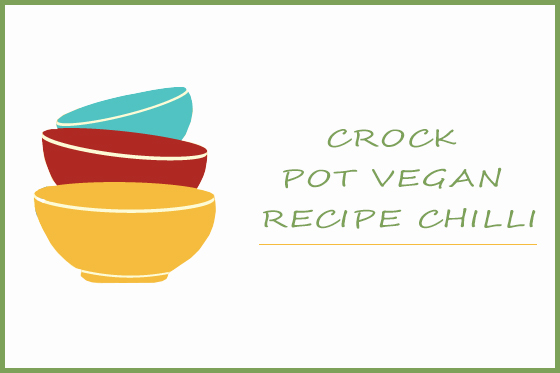 It is quite easy to make, especially if you have a slow cooker. I recommend getting a crock pot that has a timer to turn itself off after a certain amount of time that you can set previously to you coming home from work. This goes without saying, that it is a vegetarian recipe also! Water or vegetable stock (I highly recommend either making your own vegetable stock with scrap vegetables. I save my scraps and put them in the freezer until I am ready to make stock. Vegan vegetable stock will give the soup more flavor than water but this is only really important if you decide not to use salt for some reason). You can really put any vegetable in this that you would like, but this is what I recommend and the last time I made it this is what I put in it. It turned out delicious. Take out your crock pot, make sure it is clean and plug it in. Depending on how long you have (or how long you are going to be leaving the house) you will either be putting the heat on high or low. If you are making this is the morning before heading out the door, I recommend putting it on low, cooking it until you come home from work or school (6-8 hours) and if you are going to be at home today and are planning on eating this a bit sooner, you can set it on high heat for anywhere between 2-4 hours (it will be okay longer than that but the lentils will need about 2 hours before getting a nice and soft texture). Fill the pot with about an inch of water. Cut up your onion, crush and dice your garlic (4-5 cloves of garlic) and throw them in the crock pot. Wash the carrot and potatoes really well. You can peal them if you would like but I throw in the peel (extra nutrients, extra food, less waste, easier, cheaper in case you don’t have a peeler). Dice them up and throw them in the pot. Wash your celery stocks, I add two with the leaves and everything. I slice them really thin so that it adds a bit of crunch to the soup but not too much. I include the leaves because they say they are really healthy and I think that they taste really good. If you don’t want to throw them in there then I recommend that you you save them and put them in the freezer to make vegetable stock at a later date. Wash up your jalapenos really well. Be careful with these while chopping. From my experience what you are going to want to do is slice it in half vertically and take out the seeds. Unless you want your soup to be really spicy, then you can include them. Chop them up really fine so that no one gets a mouth full of chile. Add in your chopped bell pepper, I would also remove the seeds if I were you. Add your salt, pepper and washed lentils. Fill the pot with water until it is about an inch or 2 over the vegetables and let sit over either low or high heat until you get home. This cheap, easy recipe and vegan meal for 4-6 people (or one person who eats a lot of food with leftovers for a few meals) costs about $4.